GFOA's Best Practices in School Budgeting provides for a comprehensive budget process framework that emphasizes academic and finance collaboration to best align resources for desired student outcomes. The framework represents the culmination of a multi-year effort led by GFOA, with input from numerous school district officials and other experts in education finance, to develop guidelines for better budgeting, tailored specifically for school districts. Also included are recommendations on how to develop a strategic financial plan and a budget document that communicates not only the district's financial plan but also student learning objectives. To help assess and improve programs, services, and the budget process, information on incorporating continuous improvement principles are embedded throughout the framework. 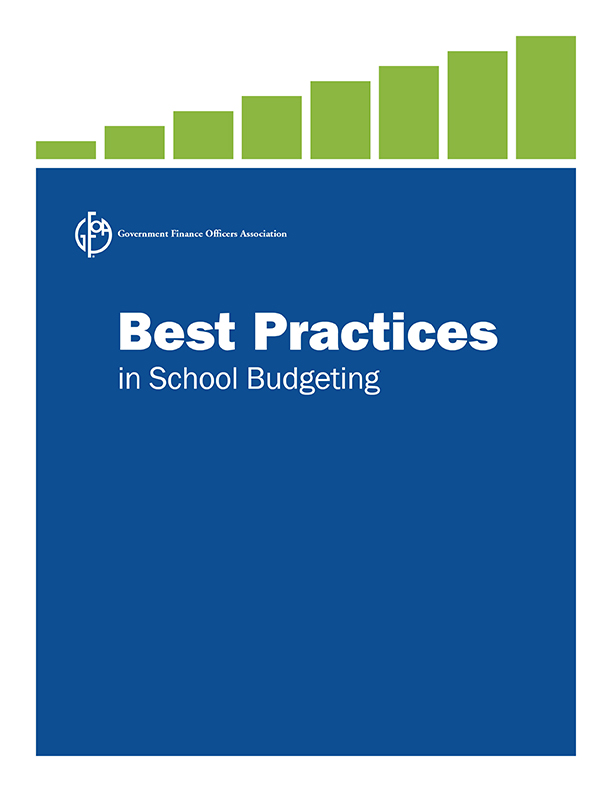 GFOA's Best Practices in School Budgeting is intended to be used with GFOA's Alliance in Excellence in School Budgeting Program and Award for Best Practices in School Budgeting.